Garage Keepers Insurance Definition – What Is It? Who Needs It? Not sure if you need Garagekeeper’s coverage for your business? The best way to find out is to talk to a professional insurance agent who understands the towing businesses. Fill out one form and we’ll get in touch with three independent insurance agents. They’ll determine if garagekeeper’s insurance is right for you. 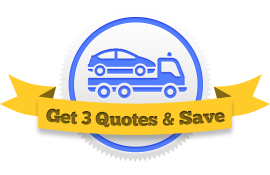 And if you need it, they will compete and offer you three independent, personalized quotes that you can compare. Businesses that keep non-employees’ vehicles on their property require Garagekeeper’s Liability Insurance to protect those vehicles against accidental damage. If you run a body shop and a cutomer’s vehicle is damaged while in your hands, your business is responsible to pay for repairs. Or if you’re a towing business and you bring a vehicle back to your lot, garage keeper’s insurance covers that vehicle until the owner comes to pick it up. On-hook coverage protects other people’s vehicles while they’re being towed and while they’re physically hooked up to the tow truck. Garagekeepers insurance doesn’t cover customers’ vehicles if they’re damaged while connected to a tow truck. In Virginia and Texas, on-hook towing insurance is reffered to as garagekeeper’s insurance, while garagekeeper’s insurance is called storage location insurance. Because of their names and uses, garagekeeper’s liability insurance is often confused with garage liability insurance. They’re similar, but they aren’t identical. Say you’re an auto repair shop. A customer brings in a car with a funny motor, and you have one of your mechanics drive the car around to get a feel for what’s wrong. While he’s driving around the block, he accidentally hits an oncoming vehicle with the customer’s car. Your business is now responsible for damages done to both the customer’s car and this second car your mechanic hit. Garagekeeper’s insurance covers the customer’s vehicle while garage insurance covers the hit vehicle. If you never take your customers’ vehicles off your own lot, there is no reason to purchase garage liability insurance. How to Get Your Business the Best Garagekeeper’s Insurance. Customize Your Policy. Like any insurance policy, garagekeeper’s is comprised of a limit and a deductible set by you. The Limit is how much the insurance company is willing to pay. If you have a $50,000 limit, then $50,000 is the maximum amount the insurance company will pay for any given accident. The Deductible is how much you contribute following an accident. You must pay your deductible following an accident before the insurance company will contribute its share. Customize Your Payment Plan. Businesses that opt to pay more upfront in a yearly, or even quarterly, payment plan will see a significant discount on their premium. If this sort of payment plan works for you, take advantage of it! Find the Insurance Company’s Rating. There exist agencies whose sole purpose is to evaluate insurance companies and determine whether they can be trusted or not. Whether you’re going with a small insurance company or a large one, it’s always best to check out how reliable that company is. We recommend using Moody’s or A.M. Best, since they offer the most comprehensive list of insurance companies. Shop Around. The only way to know for sure whether you’re getting a good deal on garagekeepers liability insurance is to get a quote from several insurance companies and compare. We can help. Using our Request 3 Quotes form, you can talk to three different insurance agents, who will compete for your business. You compare their quotes, saving you money.